Change any other block by a simple signal Redstone. 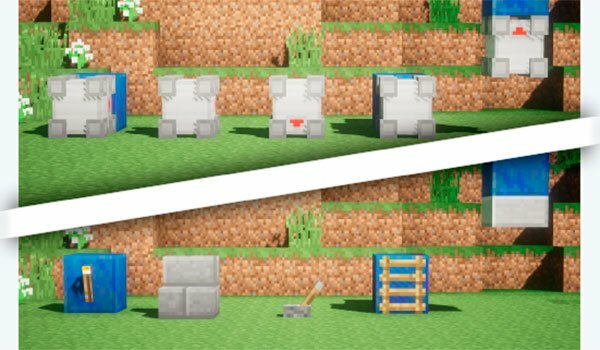 Toggle Blocks 1.7.10 is a mod that will allow us to appear or disappear only blocks redstone signal. The mod adds a basic object, the “Block Controler Toogle”. This block allows us to access a configuration interface that lets you select blocks or objects that we want displayed, or not, when a Redstone signal is received. There are five variants of the block “Block Controler Toogle”. The differentiates a variant of another, is the amount of “Change Blocks” to obtain by placing the controller somewhere. The “Change Blocks” are blocks that serve as a “guide” to put the blocks you want to hide or show. That is, to put two hidden blocks, we will need to place two “Change Blocks”. If we place a “Toogle Block Controler” small, will get 5 “Change Block”, which means that we can bring up or hide up to 5 blocks or objects. The five variants simply bring as many blocks that can alter. These are the amounts that we provide each of the five variants: 5 “Change Blocks”, 15, 30, 50, 100 and endless blocks (the latter can only be used in creative ways). Reading this mod functions can seem complicated but is actually very simple. The mod allows us to use our imagination to create all kinds of traps and hiding things like doors, secret areas, items and even homes and buildings. In short we can trolling, hide things and hide ourselves simply by activating a lever. 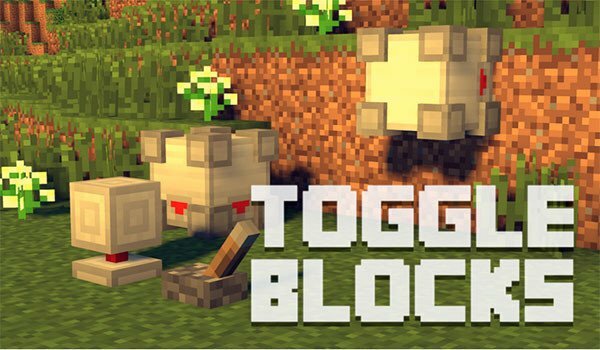 How to install Toggle Blocks Mod for Minecraft 1.7.10? Double-click the downloaded file to run Fore installer. Create cheating or hiding places as impressive as your imagination allows you!